USA Pest Management Group, Inc.
C. Wright & Wright Enterprises, Inc. Comment: The bees are entering the wall via a hot water heater pipe vent. Comment: This afternoon I noticed bees flying around and landing on the top of the support for my porch roof. It looked like they were disappearing into it. I didn't notice them earlier today or a day or two before when I was out there watering plants. I am not sure if they are building a nest in the support or not, but it kind of looks that way. Sacramento Pest Control Services are rated 4.71 out of 5 based on 1,117 reviews of 20 pros. 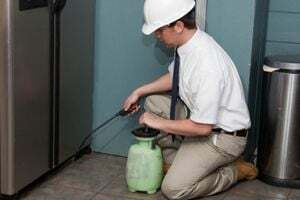 Not Looking for Pest Control Contractors in Sacramento, CA?